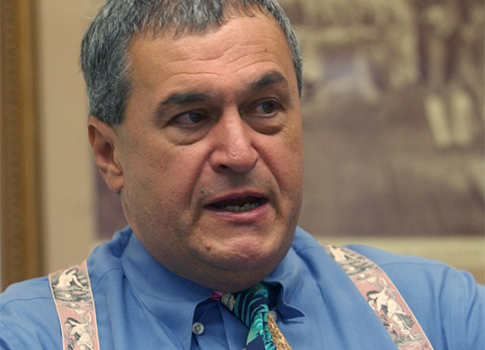 One of the Democratic Party’s biggest fundraisers, high-powered lobbyist Tony Podesta, says lobbyists should be banned from fundraising for, and donating to, political campaigns. "I’m in favor of banning not just lobbyist bundling but lobbyist contributions," Podesta told the Center for Public Integrity last week for a story about Senate legislation to limit campaign "bundling" by registered lobbyists. Podesta said he does not expect the legislation to pass, which is good news for his financial benefactors: Podesta was the Democratic Senatorial Campaign Committee’s largest lobbyist bundler during the 2014 election cycle. Podesta, the brother of Hillary Clinton campaign chairman John Podesta, "bundled nearly half a million dollars for the DSCC during the 2014 election cycle," CPI noted. Podesta Group lobbyists continue to donate tens of thousands of dollars to political campaigns, according to recent disclosures of those contributions. Democrats have benefitted from lobbyist fundraisers, CPI noted. Even Sen. Michael Bennet (D., Colo.), the author of the Senate’s reform legislation and the former chairman of the DSCC, said he will continue accepting campaign funds raised by lobbyists. Under Bennet’s leadership, the Democratic Senatorial Campaign Committee accumulated nearly three times as much "bundled" money from lobbyists than its counterpart, the National Republican Senatorial Committee, according to a Center for Public Integrity analysis of federal campaign finance filings. Asked whether Bennet, a Colorado Democrat, would personally continue to accept contributions bundled by lobbyists, Bennet spokesman Adam Bozzi said the senator wishes campaign finance rules were different and is fighting for reforms, but "until then he will continue to abide by the rules." This entry was posted in Politics and tagged Podesta Group. Bookmark the permalink.